Multipass Solutions is an experienced software vendor and consultancy with 16+ years of project delivery know-how and professional expertise in enterprise content management (ECM). Focusing on the financial and the government sector, we offer flexible ECM solutions to lower operational costs, streamline business processes and bridge the boundary between the physical and the digital worlds – enabling smooth and easy handling of documents from both worlds stored across popular enterprise systems or heterogeneous IT environments. and MPS Voyager – a flexible, enterprise grade ECM toolkit, for data migration, data clean-up or system integration. Beside our product portfolio, we offer our clients the full palette of professional services, that cover full project life cycles, from IT strategy creation and solution design, trough project management and consulting during the implementation, to maintenance and technical support. Our products help our clients in Europe and Asia raise business efficiency, lower operating costs and create a modern, unified, secure information environment in line with all necessary requirements of a successful modern enterprise. The main headquarter of the company is located in Europe, but Multipass has an established regional branch office in Singapore covering clients in the ASEAN region. The company was created by a team of three enterprise technology veterans. After working together for over a decade consulting on integration challenges in some of the world’s biggest IT organizations, Peter, Zsolt and Szilard saw the need for a new breed of flexible software tools to connect legacy data sources to modern business uses. ECM Consulting – Multipass Solutions’ predecessor – created the first enterprise content adapter in 2006. The technology used to discover, index, retrieve, highlight and resolve inconsistencies that arise when storing large volumes of information and files across multiple IT platforms. Enterprise content adapters solve the technical challenges faced when migrating or synchronizing large volumes of unstructured data from multiple sources to new and platforms. By combining all the acquired experience, knowledge and technology, in 2010 the company created its first two products: MPS Voyager ECM and migration toolkit and MPS Invito a mobile development platform and framework for mobile business applications. The development has been supported by the European Union, and co-financed by the European Regional Development Fund. In 2012, Primus Capital, one of the leading venture capital funds in Central Europe invested in Multipass Solutions Ltd., establishing a solid financial background for going international. As a results, the company became a constant participant at the biggest regional and global IT exhibitions, building a strong network of partners and clients in the Middle East, South East Asia, and Europe. Multiple successful project in South East Asia lead to the founding of Multipass Asia – a subsidiary company in Singapore. Parallel to this, a new flagship product – MPS Intellivector was introduced reflecting the company’s change of focus toward data capture, forms processing and intelligent process automation solutions. 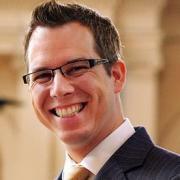 Peter leads international business development and product development at Multipass. He led the entry into Singapore and the EMEA region, winning customers and partners. Before Multipass, Peter was Head of Consulting at IT consulting companies ECM Consulting and Comparex Hungary. Before that, he was Senior Consultant and Delivery Manager at T-Systems Hungary and Systems Engineer at DELTA Electronic. Peter has a M.Sc. in Information Technology Engineering from the Budapest University of Technology and Economics. His thesis on attacks against Internet connected TCP/IP systems and the possible means of defense earned him the Rector’s Award. Besides heading sales, he is in charge of partner and key account management, and in the role of project sponsor, overseeing that milestones and deadlines are met. 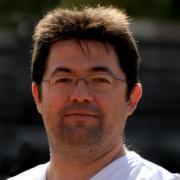 Prior to founding Multipass, Zsolt was sales director at ECM Consulting, an enterprise IT integration consultancy, where he led the company to tripling its profit in one year. Previously, Zsolt was Division Director at T-Systems Hungary, where he oversaw sales, projects, business plan creation and implementation. Zsolt has a M.Sc. in Electrical Engineering from the Budapest University of Technology and Economics. 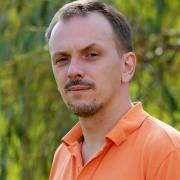 Szilard is responsible for building and managing the development team at Multipass Solutions. Before founding Multipass, Szilard was CTO at ECM Consulting, overseeing the development of proprietary software products. He coached and mentored developers at Comparex and T-Systems before joining ECM. Szilard has an M.Sc. in Electrical Engineering from the Budapest University of Technology and Economics. As Chairman of the Board, Scott is responsible for helping Multipass Solution fashion an effective, growth-oriented corporate strategy, leveraging 25 years of experience in data capture, ECM, and enterprise software. Scott was a founder and the CEO of Datacap – a leading document capture company. He lead Datacap to numerous industry “firsts,” including advances in service-oriented architecture (SOA), web-based capture, vertical-market capture products, and the introduction of innovative user interfaces. In 2010, when IBM acquired Datacap, Scott became the ECM division’s Worldwide Director of Document Capture. Scott left IBM in 2014 and once again runs his own firm, Blau Horizon, focusing on providing business startup advice to individuals and small firms in a wide range of industries. 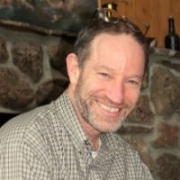 Scott graduated from Hampshire College in Amherst, MA and also holds two graduate degrees in Political Science from the Columbia University School of International Affairs.